City Style is part of Vancouver Island Weddings, too! West coast weddings usually feature oceans, beaches and trees but we are happy to see some of the historic part of Nanaimo featured in this style editorial. 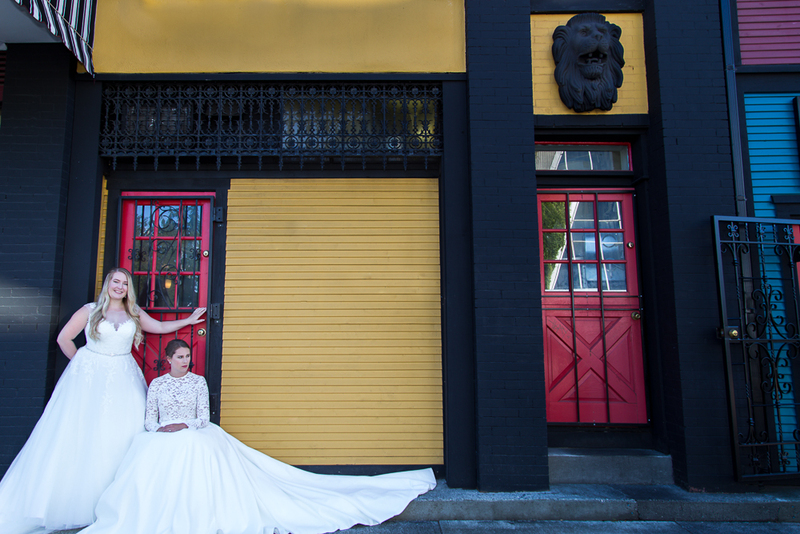 Beautiful gowns and a dapper gentleman grace the Old City Quarter in this bridal editorial. Some of the latest trends in bridal such as two piece gowns, lace sleeves and cut out backs are featured and we love the ‘mad about ewe’ sign that snuck into one shot!